Chintan Mehta: Hello, everyone. Welcome to Morningstar. I'm Chintan Mehta, Senior Investment Analyst. 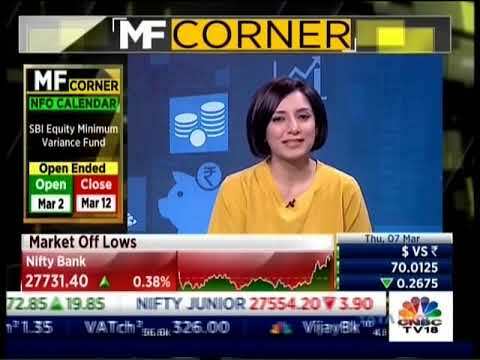 I'm here with Kavitha Krishnan, Senior Fund Analyst, to talk about Birla Sun Life Short Term Fund. Mehta: Thanks for joining us. Mehta: Can you take us through the fund's philosophy and your thoughts on why you have rated this fund Silver? Krishnan: Sure, Chintan. So, the Birla Sun Life Short Term Fund is one of the oldest funds in its category and it was launched as an alternative offering to the fixed maturity plans given its additional flexibility. Having said that, it has evolved quite significantly since the time that it has been launched. While it initially invested only in money market instruments, it now invests in a combination of GSecs, corporate bonds and SDLs. Let's talk about Prasad Dhonde. He is the fund manager on the fund and we have a positive view on his ability to execute this strategy. The fund's performance has remained above par as compared to its peers and this is primarily owing to the team's adherence to the in-house processes, the cohesive working culture within the team and Prasad's ability to take the right duration calls based on his view of the interest rate directional movements. Having said that, the performance of the fund could be impacted by Prasad's ability to allocate between GSecs, SDLs and corporate bonds efficiently. Overall, we are impressed with the team's disciplined approach and we think that this should hold the fund in good stead. 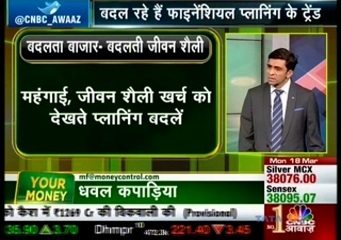 Hence we have assigned an analyst rating of Silver on this fund. Mehta: This fund won Morningstar Fund Award in 2015 within the Short Term category. So, is this the reflection of your rating? Krishnan: This fund did win the Morningstar Fund Award in 2015. The Fund Award calculations are based on quantitative factors as opposed looking at a fund from a qualitative parameter. The fund research process, however, looks at a fund from a forward-looking perspective and evaluates it based on various qualitative parameters. For example, we look at the asset manager's robustness in terms of the internal research process. We look at the team's tenure, stability and experience. We also look at the fund manager's ability to stick to the fund's philosophy despite a short-term blip in the fund's performance. Expenses and performance are two other factors that we also look at. Performance gets a lower rating as compared to the other factors because historical performance cannot predict the future returns. Prasad's flexible approach towards investing in a combination of GSecs, SDLs and corporate bonds and investing in the most liquid papers within the GSecs is a positive on this fund. Under his leadership the fund has been a top-quartile performer since 2011 and this ties in with the fact that the fund also won the Best Category Award within the Morningstar Fund Awards for 2015. However, having said that, performance is one of the parameters that we look at and the process should be looked at from an overall perspective rather than looking at the performance as a standalone. Mehta: Birla Sun Life seems to have a strong stable of fixed income strategies. Could you take us through some of the factors that have helped the AMC to deliver consistent performance within their strategies? Krishnan: The team is headed by Maneesh Dangi, who is a well-known name within the fixed income space. We view his knowledge and expertise of the markets, political environment and the macro on the local as well as the global levels as a positive. His views resonate throughout the fund house and this is an added advantage. However, there is a key man risk in Dangi's person. The fund house also runs one of the largest analyst teams on the fixed income side. It has about an eight-member analyst team and this is also in addition to four portfolio managers who double up as analysts. Analysts too content to take on dual roles based on their expertise. Overall, the team structure works really well and we thought it's a positive in terms of how they work. On the process side, they look at headline indicators and they try to understand the macro events based on their expectations versus the outcome, which we see as a positive. Their fixed views resonate across all their strategies and this is again a consistent approach of evaluating the macro strategies. On the issuer selection front, they take a 360-degree view of the issuers that they are evaluating. So they tend to meet the management. They look at their capability to be able to service their debts. Given this in-depth approach this adds a lot of impetus to the process and we think that that's a positive as well. Overall, these factors aid Birla a lot in terms of being able to deliver the kind of strategies that they have been doing so far. 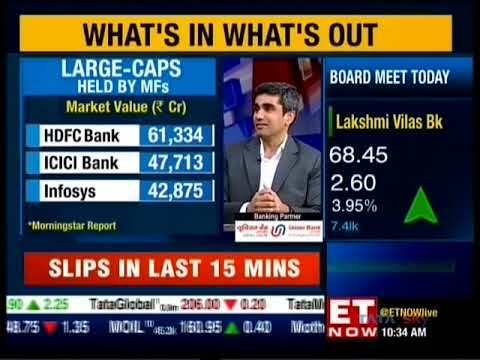 Mehta: Could you take us through how this fund is positioned? Krishnan: The fund falls under the short term intermediate bond fund category. Given a combination of active duration bets and investing in high-quality debt papers, the fund can form an apt part of an investor's core portfolio. The core of the strategy lies in taking a combination of active duration bets and investing in high-quality debt papers like I already stated but at the shorter end of the yield curve. However, Prasad can tend to vary the allocation towards the three instruments, that is, SDLs, corporate bonds and GSecs based on their relative spreads. For example, the allocation towards GSecs within the fund has increased post 2013 with the current allocation to GSecs standing at about 30%. However, corporate bonds continue to dominate the portfolio with over 50% allocated to these instruments. However, this has come down as compared to what it was prior to 2013-2014 periods when Prasad held upwards of 70% in corporate bonds. Mehta: Thank you, Kavitha. We appreciate you joining us and sharing your research on the fund. Krishnan: Thanks for having me here, Chintan. 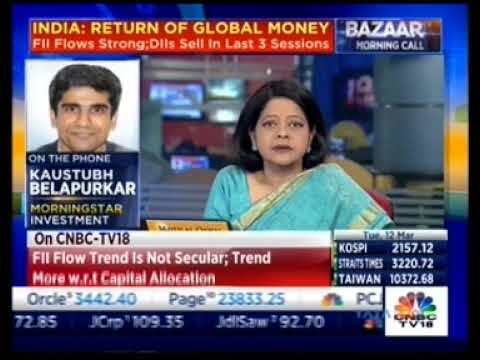 Mehta: For Morningstar, I'm Chintan Mehta. Thanks for watching.